The People Mover, Durban Transport and Mynah busses are Durban’s primary bus lines and interchange throughout the city to get you to where you want to go. Muvo Cards allow you to travel anywhere in the central and greater Durban areas using the Muvo Card readers installed in each bus. Each of these bus lines service certain areas in Durban and are therefore given different fare categories. The Durban Transport buses service central, southern and northern Durban regions which include: Umbilo, Berea, Mount Vernon, Bluff, Woodlands, Durban North, Chesterville, Shallcross, Lamontville, Umlazi, Ntuzuma, KwaMashu, Phoenix and Inanda. The Mynah buses service areas just outside of the CBD such as Musgrave Road, Florida Road and Ridge Road. The People Mover buses have two main bus routes. The City Loop transfers passengers to and from the Dr Pixley Ka Seme transfer interchange, stopping close to City Hall, The Playhouse Theatre, Tourism Information Centre, Inkosi Albert Luthuli ICC Complex, the Victoria street market and Durban’s mosque and cathedral. The Beach Line starts at Suncoast Casino and ends at uShaka Marine World. This route also runs through the interchange at Dr Pixley Ka Seme Street and transfers passengers to the City Loop route. 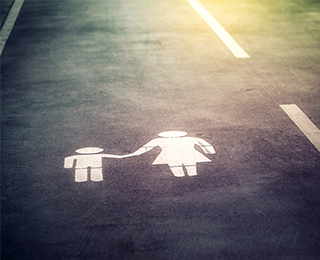 Travelling with children can be challenging, but here are a few hints and tips to turn your potentially stressful trip into a fun and memorable journey of discovery. An occupied child is a happy child and it doesn’t take much to add a little excitement to your daily trip routine. Pack a jacket with many pockets to become your child’s travel jacket. Every morning slip a few sweets, crayons, tissues or small toys, preferably toys you wouldn’t mind losing along the way, into the pockets. These little treasures will keep them occupied and if they get tired the jacket also doubles as a handy pillow or blanket. 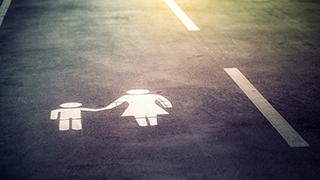 Many passengers have travelled the same bus route for years, however when you’re accompanied by small children it’s obvious why the shortest route could save you a lot of energy. Follow the link below to a list of all Durban Transport, People Mover and Mynah bus timetables to find out how you can cut down on your travelling time. Lastly, try to choose seating near the front of the bus. The front of the bus gives you more time to collect your bags and get your child ready to make sure you don’t miss your stop. 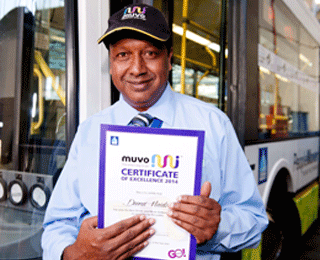 Durban bus driver Deena Dayalan Naidoo was awarded as Durban’s best bus driver for the month of April as part of the Move to Muvo Campaign. He was awarded the Best Bus Driver of the month award voted for by the commuters for being a good ambassador and assisting commuters with their Muvo cards. From April 1, bus coupons have been discontinued, and replaced with the new Muvo Smartcard, which will provide a safer, more efficient way of paying for public transport. The card is part of GO!Durban, the massive Integrated Rapid Public Transport Network, that will eventually be used on all the public transport within the network which sees the integration of public transport with dedicated lanes for busses and upgraded transport corridors for rail. The card is being issued free of charge until further notice. 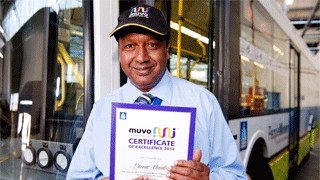 “Muvo has been running a competition for Best Bus Driver for this Move to Muvo campaign. The objective of the competition was to help improve the service provided to the commuters and encourage bus drivers to become ambassadors of the Muvo brand. Commuters had to vote for their favourite bus driver in order for their favourite driver to win the competition” says Muvo Project Manager Michelle Pearton. Muvo Cards were designed to improve the passenger experience when travelling in Durban. 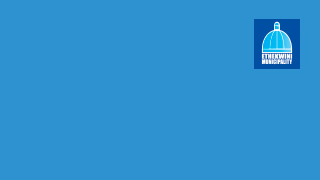 To assist passengers with specific needs, Muvo created three Concession Cards, namely: the Scholar Concession Card, the Senior Citizen Concession Card and the Disabilities Concession Card. Scholar Concession Cards are available for students between grades 1 and 12. Our friendly brand ambassadors are at every Muvo PayPoint and Muvo Smart Van to guide applicants through the application process. Applicants are required to present their original ID or birth certificate. Unfortunately, photocopies will not be accepted. As proof of Scholar Concession status students are required to wear their full school uniform aboard the bus. Applications for Senior Citizen and People with Disabilities Concession Cards are open at the Durban Transport Depot, 102 Johannes Nkosi (Alice Street) every Tuesday from 09:00 to 15:00. 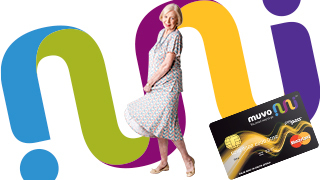 Senior Citizen Concession Cards are available for South African citizens in possession of a Municipal Concession Card and are aged 60 or older. Please note that applicants will need their ID documents to apply for their concession cards at a once-off fee of R50. 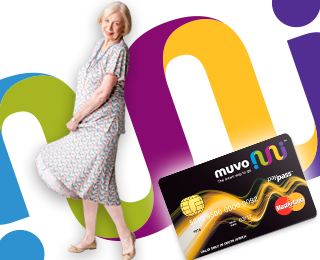 Muvo Concession Cards for People with Disabilities are available for passengers with a SASSA grant. Please note that applicants will need their ID documents to apply for their concession cards at once off fee of R50. For further queries please contact us on 080 000 6886. Click here for a list of bus timetables for the Durban Transport, People Mover and Mynah busses.